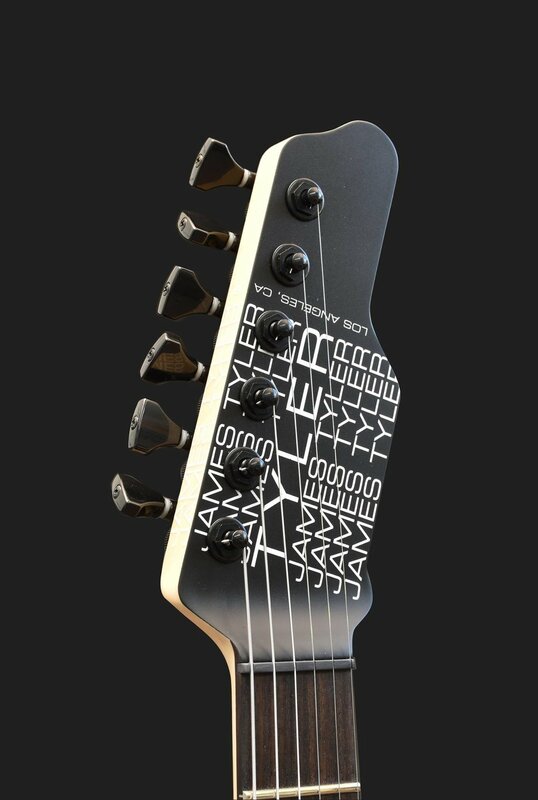 James Tyler started out doing custom electric guitar work and repairs in the early 1970’s. His reputation grew by word of mouth up through the later 1980s and early 1990s when a lot of top session players and artists in the Los Angeles studio scene trusted him to give them exactly what they needed. He listened to his customers and pushed the limits by constantly seeking what could be improved. This kind of hand-on experience with thousands of guitars and an exclusive clientele has given James keen insight into how things work, and what players want. Today, the guitars are built using state-of-the-art technology including computerized milling machines, laser machines, 3d modeling stations, and aerospace engineering to ensure utmost quality and precision in each product that is made. Technology, however, never takes precedence over what James calls “the human factor”. In this digital age, many computer-built products feel sterile and like machines themselves – that is not what you get with a Tyler. James draws the line to ensure that technology remains a tool in the hands of expert luthiers, and never a human replacement. The handwork and attention to detail at Tyler make a guitar feel comfortable and familiar, a small, dedicated crew of talented craftsmen builds each guitar to order doing as much work by hand as possible. The necks are final shaped by hand, the bodies get hours of hand work through the sanding, painting, and buffing processes. The frets are dressed and polished by hand through a 10-step process that gives a superior final result that no computer-controlled machine can produce. The guitars get assembled, adjusted, set up, played, listened to and tested by people who care about quality. Then they go back for a final set-up before they are packed and shipped. It takes a determined balance of modern technology and old school tradition to give you a guitar that feels like an old friend when you play it for the first time. The operation at James Tyler Guitars has grown slowly over the years with no partners, no investors, and no compromises. All the work is still done in Los Angeles, California in the same spirit as when it all started. A ton of sweat equity goes into each instrument, so you can pick it up and make it yours from the very first moment. James Tyler has had a guitar in his hand almost every day since he first picked one up the summer after seventh grade, in 1964. The Beatles had just hit it big, and “Can’t Buy Me Love” was at the top of the charts. James may not have been able to buy love, but with the help of his parents, he did get a Fender Duosonic as his first real guitar. While playing in bands in Jr. High and High School, he added a Fender Shenandoah 12-string acoustic. A few years later, while taking guitar lessons from Ted Greene, James was introduced to the guitar playing genius of Eric Clapton on the 1966 Bluesbreakers album which, James insists, is still some of the best guitar you’ll ever hear, and he was hooked. About this time in high school, James started taking apart his guitars “for no good reason” and putting them back together to tweak with things or simply change the finish color. He got a handle on the basics of guitars and electronics and started helping out friends when they needed work done. In college, James studied architecture, design, music, photography and for a couple years, theology. He paid his way through these years of college doing guitar repair work at local guitar stores, and as a factory trained auto mechanic for Alfa Romeo, Lancia, BMW and Fiat. Later into the 1970s, he got connected with the guys at Norman’s Rare Guitars in the San Fernando Valley and became their main repair and restoration guy. James’s abilities continued to expand and soon he had enough experience and reputation that he opened his first repair shop in Reseda, CA in 1980.